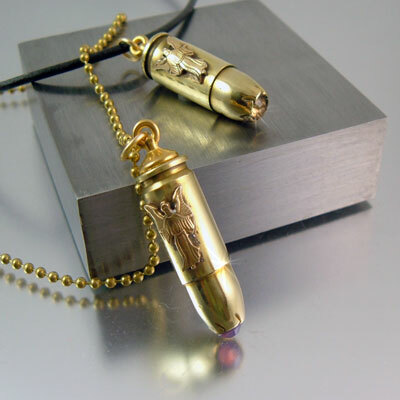 Nowhere else will you find this unique Guardian Angel bullet necklace. 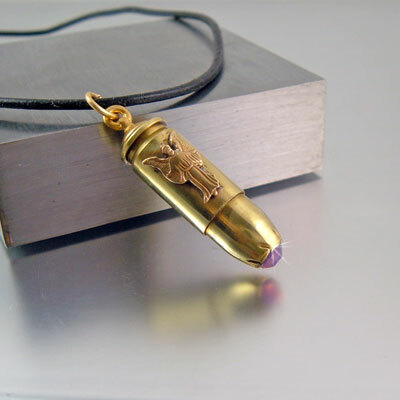 The design is similar to my original release of the Guardian Angel Bullet with the exception of the tip; I call this the solid brass version. 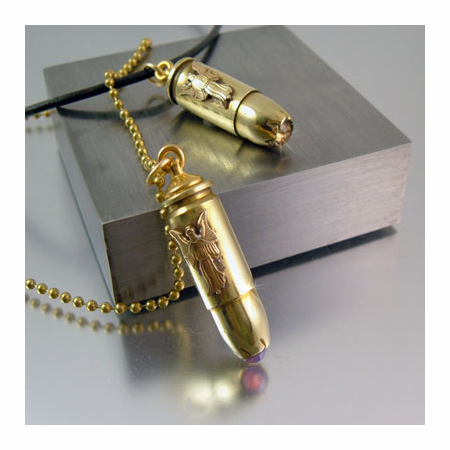 The necklace is safe to wear and the tip has been sealed with a Swarovski crystal. 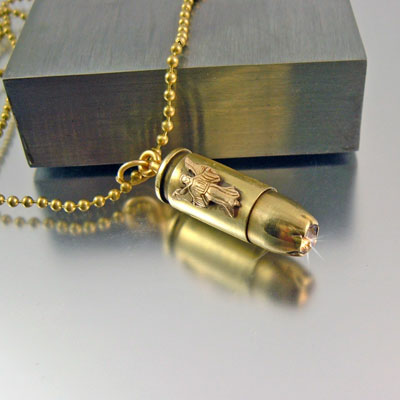 The design is beautiful and simple, a guardian angel. 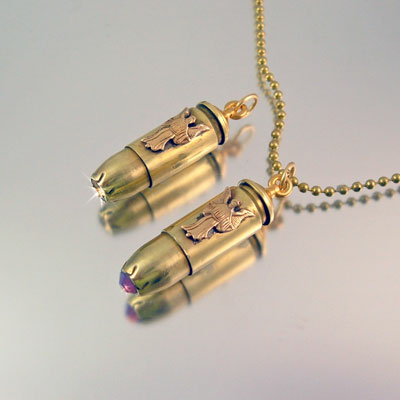 This is the perfect gift for someone in the military, armed forces, hunters, shooters, police force, parent, or anyone needing a guardian angel; which is all of us.